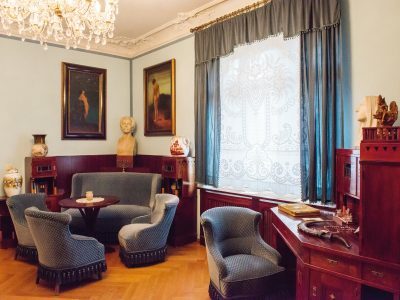 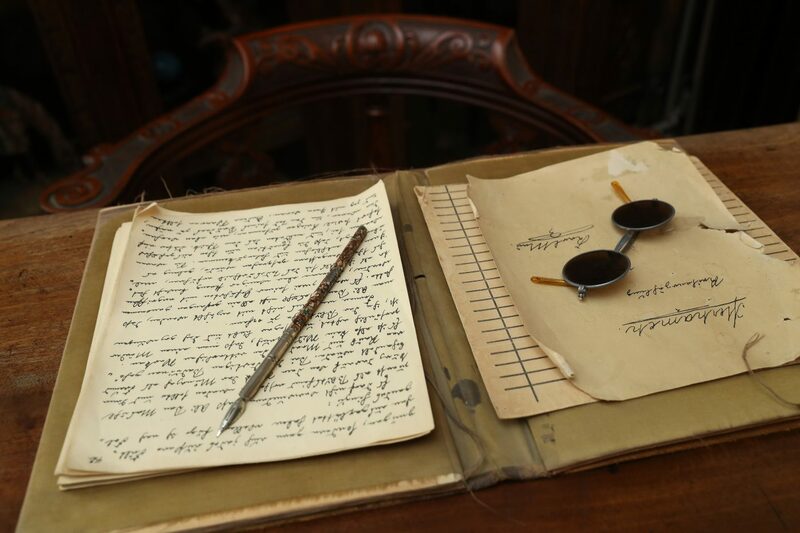 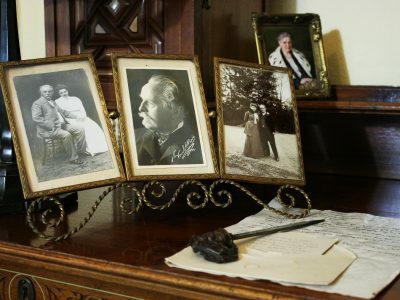 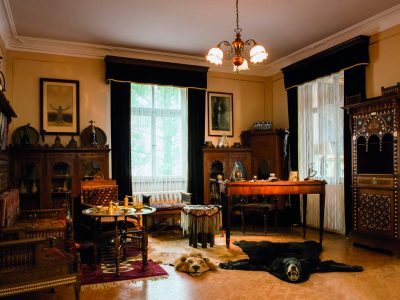 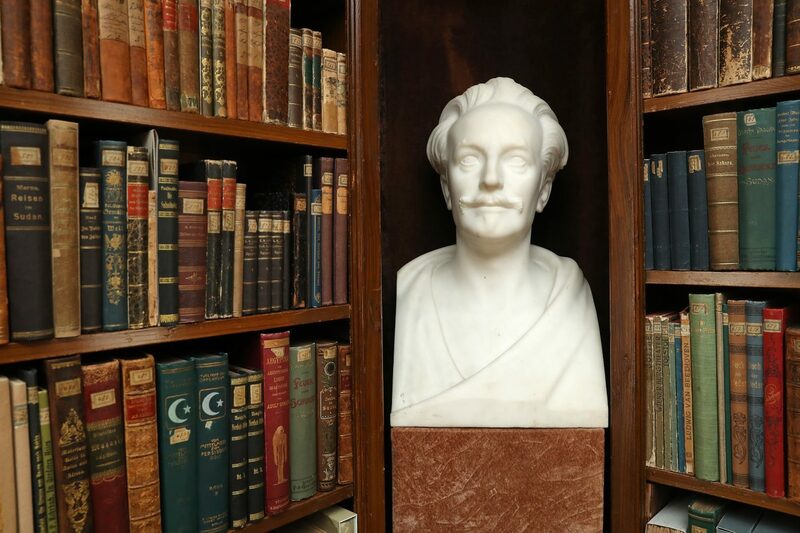 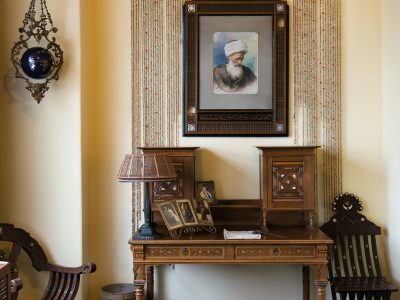 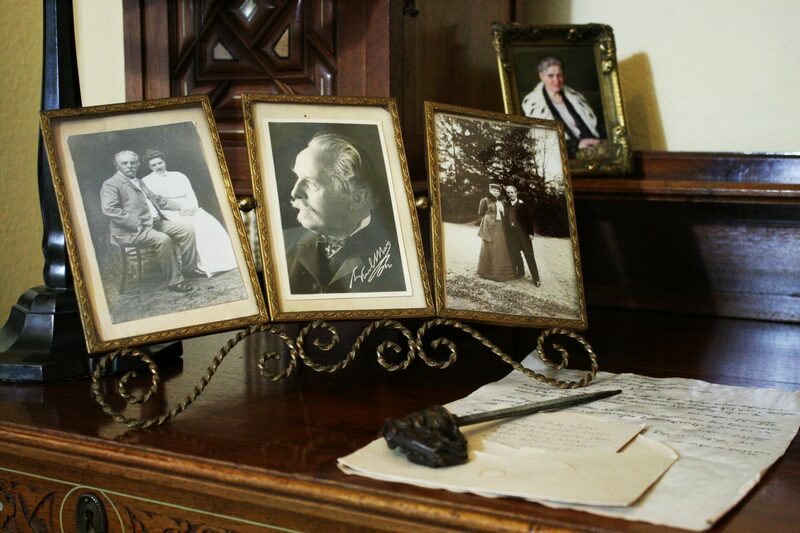 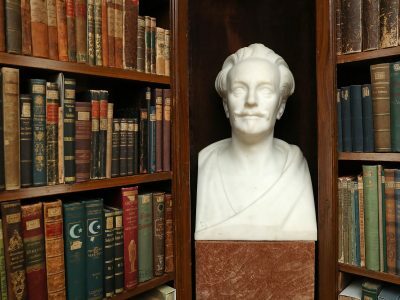 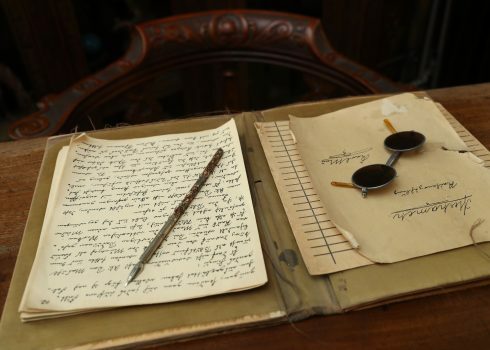 In Karl May’s former home, our visitors can explore his eventful life and literary work, and immerse themselves in the adventurous world of the author from Saxony. 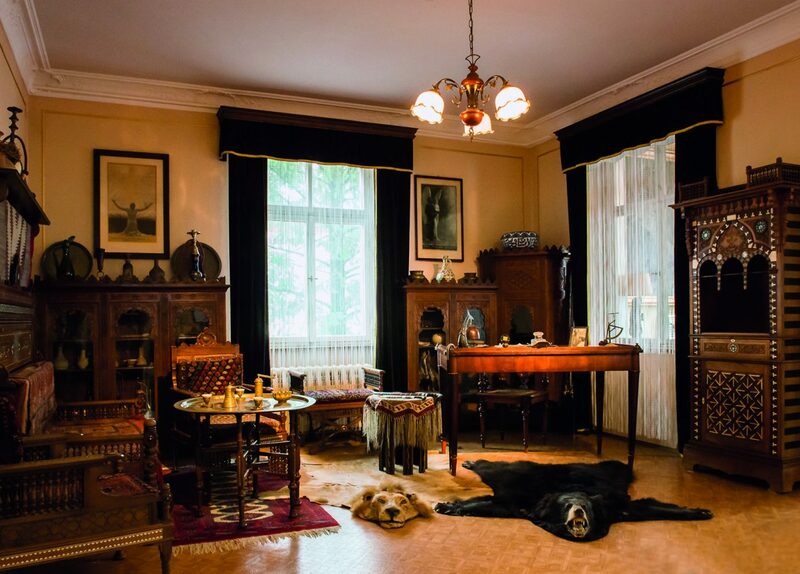 May himself had “Villa Shatterhand” fitted to the façade in golden lettering, as if to visibly announce to all visitors: this is where the famous author and world traveller Dr Karl May lives. The permanent exhibition “Karl May – Life and Work” gives insights into May’s marvellous fiction of himself as a widely travelled adventurer. 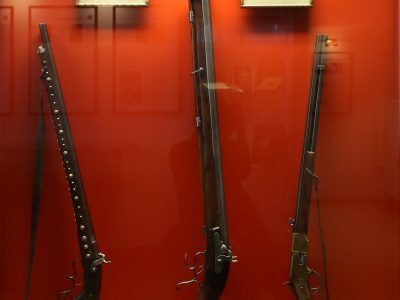 This includes is famous collection of guns, featuring a silver shotgun, a “bear killer” and Henry rifle, which he showcased in exaggerated poses for a series of postcards. 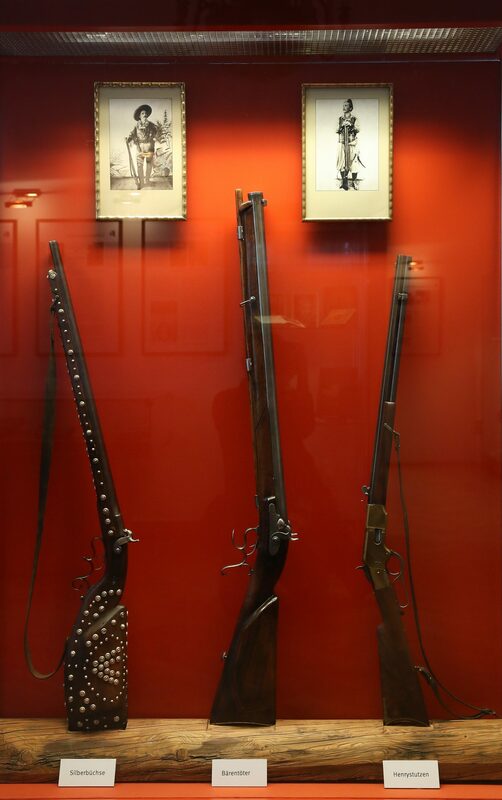 Karl May had the silver shotgun and “bear killer” custom-made based on the descriptions in his books by a rifle-maker in Dresden to make his “travel tales” appear more credible. 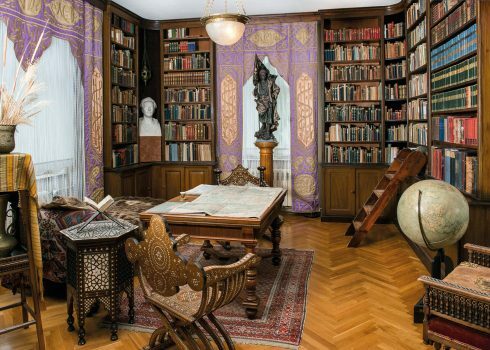 Karl May’s impressive library symbolises the treasure trove of knowledge which he soaked up in his years of studying and turned into his famous adventure stories through his imagination. 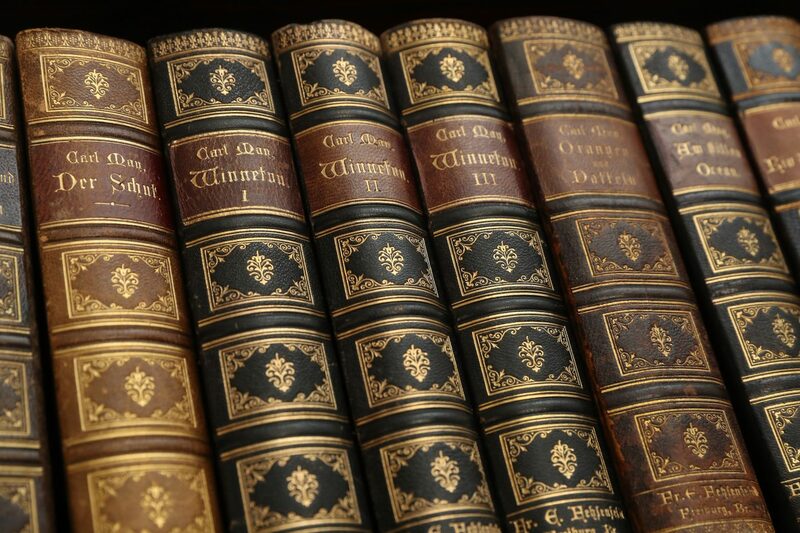 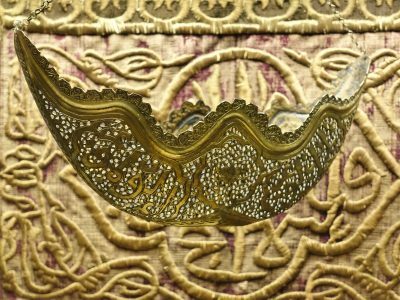 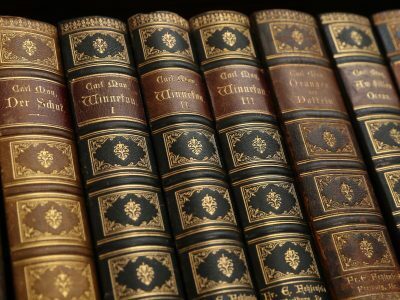 It includes roughly 3,000 texts, some rare lexica, travel and adventure literature, as well as key ethnographic, religious and philosophical treatises with hand-written working notes by the author. 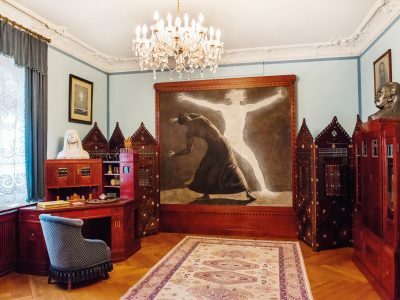 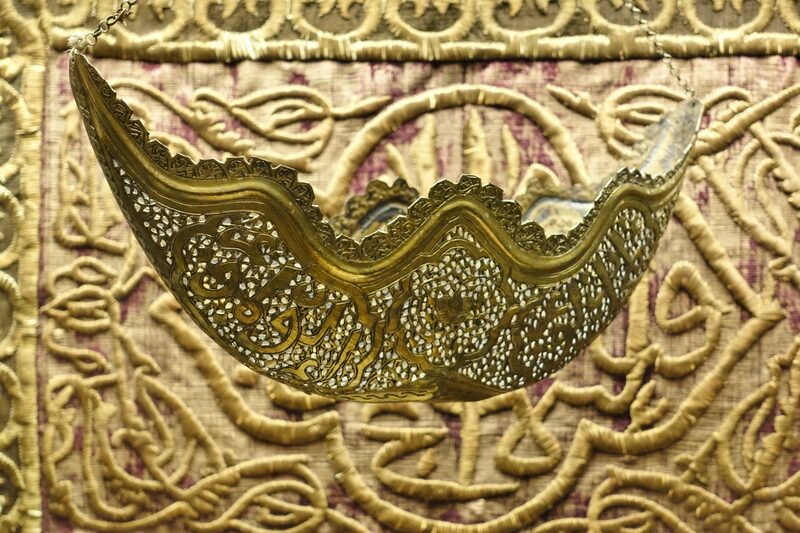 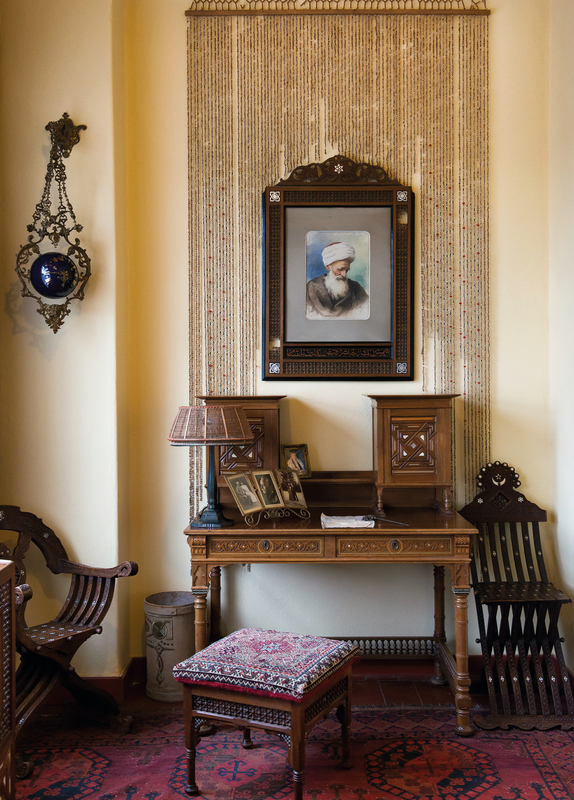 His office fitted out with Oriental furniture and the art nouveau reception room with paintings by Sascha Schneider (1870 – 1927) are impressive testimonies to German literary history. Check out our other permanent exhibition “North American Indians” in the Villa Bärenfett log cabin!